七上英语 unit4 单元测试一、单项选择。（每小题 1 分，20 分）1. - is my watch?-It’s on the dresser.A. What B.Where C.How D.What color2.-Is your book on the desk?- .A.Yes,they are B.No,they are C.Yes,it is D.No,it is3.- the pencil in the pencil case?-No, it isn’t.A. Where’s B. What’s C.Are D.Is 4. Where my father and mother?A.is B.am C.are D.do5.-Are books under the table?- No, they aren’t.A.those B.this C.that D.you6.-Where is your cousin ? - .A. I’m not know B. I do no know C. I don’t know D. I know not7.Here my video tape.A. is B. are C. am D. be8.Please a baseball to Tim.A. take B. takes C. brings D. need9.Can you that photo to me ?A. take B. bring C.takes D.brings10.I need notebooks.A. a B.an C. you D. some11.My father’s watch is the floor.A. on B.in C. under D. at12.-Where my ?-She is in her room.A. are; parents B. is ; brother C. are; books D. is; sister13.-Where is my football、-It’s ___ the table ___ the floor.A. on, under B. on, onC. under, on D. on, under14.Tom is a boy. Your aunt is his mother.He’s your_______.A.aunt B. sister C. cousion D. son.15.I can see some apples ___ the tree and some birds are ___ it, too.A. in, on B. on, in C. under, on D.in, under16.-___ Lucy?-She’s in the classroom.A. Who’s B. What’s C. Where’s D.What’s17.My watch is ___ the table. I can’t see it.A.on B. for C. of D. under18.Look! The two boys ____ my cousion.A. are B.is C.\ D.am19.Thank you _____ your pen.A. for B. of C. in D.\20.My math books ___ erasers are on the desk.A. but B. and C. so D.because二、完形填空：（每小题 1 分，10 分）This is a 1 of my bedroom. It’s a nice 2 . The door is 3 . And a ball is 4 it. 5 desk is near the window. You can see a 6 behind the desk. You 7 books and flowers 8 it. I 9 my English books in my schoolbag. The bag is now behind 10 chair.1.A. picture B. book C. map D. family2.A. classroom B. room C. toilet D. home3.A. there over B. Here C. this D. that4.A. in B. on C. under D. behind5.A. Me B. I C. My D. Mine6.A. window B. door C. Clock D. chair7.A. see B. can see C. must see D. look at8.A. from B. on C. at D.of9.A. put B. color C. Find D. put on10.A. 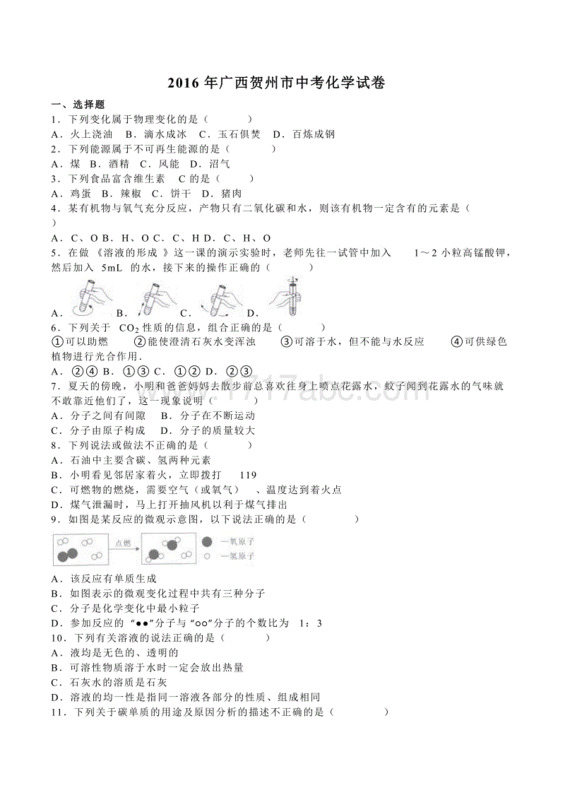 a B. the C. an D. of 三、阅读理解：（每小题 2 分，30 分）ADear Tommy,Can you bring some things to school? I need my English book, baseball, notebook,CDs and computer game. The English book is on the dresser(梳妆台).The baseball is under the bed. Where is my notebook? Oh, it’s on the bookcase. The CDs are on the dresser. The computer game is on the table. Thanks.Yours,Mike1. Is the English book on the bed?A. Yes, it is. B. No, it isn’tC. Yes, they are D.No, they aren’t2.The baseball is ___ the bed.A. under B. in C. on D. for3.The ____ is on the bookcase.A. computer game B. bookC. baseball D.notebook4.Where are the CDs?A. On the dresser B. Behind the computerC. On the sofa D.Under the bed.5.___ needs the things.A. Tommy B. Jack C. Mike D. JimBThis is a room in Kate’s house. There is a big bed, a table, a computer and some chairs in it. There’s a glass and some books on the table. There is a picture on the wall. Kate is in the room. She is looking at the picture. 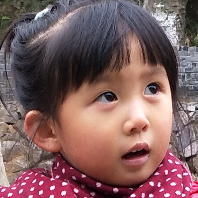 Her father and mother are in the school. They work hard.1.Is there only one room in Kate’s house?A. Yes, there is. B. There is a bed.C. There is a computure D. I don’t know.2.What’s in the room?A. Only a bed B. Only a tableC. Only some chairsD.A bed, a table, a computer and some chairs3.Is there anything on the table?A. Yes, there is B. No, there isn’tC. Some books D. A glass4.Who is at home?A. Kate’s father B. Kate’s motherC. Kate’s brother D. Kate5.Kate’s father and mother are_____A. teachers B. students C. friends D.at homeCThis is the twins’ room. It’s a nice room. The two beds are in the room. One is Lucy’s and the other(另一个) is Lily’s. They look the same. Their coats are on the desk. We can’t see their shoes. They are under the beds. The twins have desks and chairs. Their clocks, books and pencilcases are on the desks. Their school bags are behind the chairs.1. What knid of room is it?A. A classroom B. A big room C. A sitting-room D.A bedroom2.Which one is right?A. Lily’s coat is on the desk.B. Lucy and Lily are brother and sisterC. Lucy’s shoes are under the chairD.Two beds are in the room3.Where are their schoolbags?A. On the wall B. Behind the chairC.Under their beds D.On the beds.4.Their shoes are _____.A. old B. new C. lost D.under the beds5.We can see _________.A. their shoes under the chairsB.the flowers on the bedsC. their clocks and books on the deskD.their schoolbags are under the beds.四、根据句子意义、汉语提示、首字母完成单词。（每小题 1 分，5 分）1. We have a new ____(飞机)。2. _____(谢谢) for your help.3. She is ____(我的) friend. 4. There are two ____(字典) on the bookcase.5. Are her ___(钥匙) on the table?五、用方框中所给词的适当形式填空，将短文补充完整。（每小题1 分， 10 分）This is a picture 1 my family. 2 man is my father and the Who, it’s, its, picture, mother, father, like, of, the, is , boy, girlwoman is my 3. The 4 behind my mother 5 my sister. The 6 are my brothers. 7 is the little girl behind my father? 8 me. What a nice 9 ! I 10 it very much.六、阅读与表达（每小题 2 分，10 分）I’m Liu Na. I’m a Chinese girl. This is my bed room. It’s also my sister, LiuLi’s room. It’s a big and nice room. Two beds, a desk and two chairs are in it. The desk is in the middle. On the wall there are two pictures of roses(玫瑰花). Our books and pencil cases are on the desk. My pencil case is orange and white, and LiyLi’s is yellow. We like our room.1. Is the bedroom small?________________________________2. What is in the bedroom?________________________________3. What is on the wall?________________________________4. What color is LiuNa’s pencil case?________________________________5. Do LiuNa and Liu Li like their bedroom?七、书面表达：（10 分） 这是 Jane 的房间，请根据参考词汇帮她描述一下房间内物品的摆放情况。要求：第一人称描述，不少于 40 词。参考词汇：bed, shoes, picture, wall, bookcase, dresser(书橱) ， clock, computer, CDs.七上英语（2012 新版 ）unit4 单元测试答案一、1-5 ： BCDCA 6-10： CAABD11-15：ADCCB 16-20：DDAAB二、答案：1-5： ABBDC 6-10：DBBAB三、答案：A:1-5：BADAC B:1-5DDADA答案：C:1-5 ：DDBDC四、答案：1-5： plane, Thanks, my, dictionaries, keys, 五、答案：1-5： of, The, mother, girl, is,6-10: boys, Who, It’s, picture, like 六、答案：1. No, it is big.2. Two beds, a desk and two chairs3. two pictures of roses(玫瑰花).4. Orange and white.5. Yes, they do.七、参考答案：思路点拨：1.开篇点题：这是我的房间，总体描述很干净。This is … my room. It’s… very clean.2. 具体描述：My jacket, on the bed, my shoes, under the bed, my clock, on the dresser, That is…, It’s…, my computer, some CDs3. 注意句子之间的衔接及描述物品的先后关系。This is…. And…, That is, Where…? Look! And…This is my room. It’s very clean. My jacket is on the bed. And my shoes are under the bed. My clock is on the dresser. That is my picture. It’s on the wall. Where are my books? Look! They’re in my bookcase. And on the desk are my computer and some CDs.